Large numbers of people, upon learning about someone’s death, automatically express their feeling saying, “rest in peace”. Such expression is more a cultural attitude than religious one; an act that seems godly, but that does not keep any connection with the reality of the “post-mortem”. This superficial faith that does not encourage study, no research, and prefers to rely on dogmas, mysteries and symbolism, induces its professed to believe that after disembodiment only what will remain for the righteous is paradise (to the righteous and chosen) or overwhelming flames of hell (to the unrepentant sinners who have not accepted salvation) and thus keep people linked to ignorance about the reality of spiritual life. Most religions says that they shall spend an eternity singing hymns in the Promised Land, if they are a believer, pious and God-fearing. It reveals a total unawareness about how is the Life after life. They certainly have never heard – or even have read about – that here on Earth we have a faint copy of how the life is in other dimensions. In fact, all the progress made by the earthly man comes from inspiration on the other side of life and, yes, they are achievements that fall far short of the outreach that could have been. If here there are schools, libraries, artistic events, hospitals, places of worship, is because at some point in the past, people were inspired to work those activities and principles for the benefit of earthly society. Therefore, it is easy to conclude that, also on the side, there are institutions – and better ones – developed for the progress of the Spirits. and also in details of life after to what we call on Earth of “death”. From its reading we learn, about the organization and administration of the work, rests, entertainments and treatments devoted to the “dead” in some of the cities of beyond. We learn what happens in violent disembodiment caused by traumatic accidents; also those that occur due to serious illness, or by suicide. It is shown to us the spirits are affected by their repeated memories, especially when people were preoccupied with the material goods of earth in their last passage through the planet. Does death provide unexpected changes and some modifications as many desire? — Death does not lavish miraculous changes to our consciousness. -What awaits the disembodied man, directly, in the early years of life beyond the grave? — The disembodied soul naturally seeks the activities that were its favorite in the circles of material life; obeying its similar desires, as it occurs in societies of your world. Are not your cities replete of associations, of guilds, of whole classes that are joined and that unionize for determined aims, conjugating identical interests of several individuals? There, are not the loan sharks, the politicians, the traders, the priests, aiming at each group to defense of their own interests? The disembodied, looks for, anxiously, in Space, the similar crowd with his thinking, in order to continue the same kind of life left on Earth, but in the case of passionate and vicious creatures, his mind again will find the materiality obsessions , as money, alcohol, etc., obsessions that become his moral martyrdom of every hour, in the closest spheres of the Earth. That said, on the other hand, we observe that nature works continuously in the production and reproduction of essential items to the balance of the planet and of material life, then it is easy to deduce that the Creator is also working incessantly. In the Old and New Testament, are about 10 to 12 references to the substantives “rest” and “sleep,” but no one can infer that is “eternal” rest. Both in Psalms as in Deuteronomy and Isaiah, you can read that God works while we sleep. Will it be then that He sleeps or rests while we are woken? But we know that when in one hemisphere is day, in the other is night. So, there is no chance of rest for Him. The Spiritist Doctrine codified by Allan Kardec, clarifies, in psychographic messages in different countries, the subject that the Supreme Intelligence works incessantly. And with regard to the type work there is also unanimity. In all the books of the Spiritist Pentateuch, there are varied comments on the subject. After analyzing them, it is easy to conclude that the Creator works unceasingly for our progress. 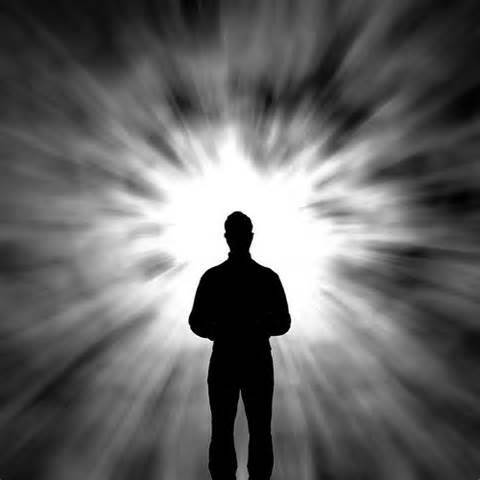 With regard to the “death” it is appropriate that those desiring further information read and reflect on Chapter II of THE BOOK OF SPIRITS where one can find enlightening answers. At the end, readers will understand that there is no “rest in peace” simply because after a necessary short period for the readapting the Spirit; when one returns to the Spiritual Plan dimension, many surprises and activities await them. Hence death is not the end and the “nothing” does not exist just because life goes on. Learn more about Spiritism – read Spiritism 101 – The Third Revelation to gain an introduction into the basic questions of your immortal spirit and the spirit realm.